Four of our regular riders headed down to the Quays Ski and Wake cable for the first Grassroots Tour Stop of 2016. Talk about well representing….. ALL four made podium! Kay Ransom placed 3rd in Ladies Rookies – Check out what she has to say about the Grassroots Tours! “I’m really excited to hear WMSKi will be hosting a Grass Roots Tour competition on Sep 3rd! WMSki is my home cable, I’m really proud that riders from all over the country will be coming to compete at our awesome lake. I’ve been competing in the Grass Roots Tour since 2014. I compete as a “rookie lady”. 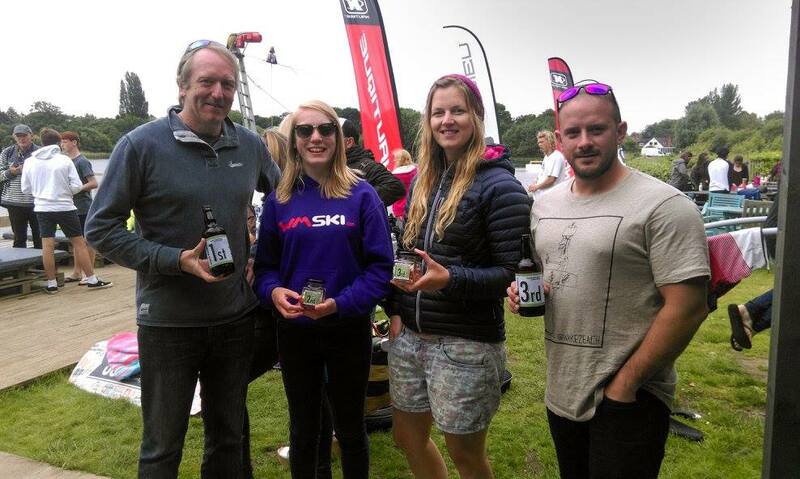 My best results are winning the Kernow Wake Park comp 2015 and winning the South West Tour 2014. I would really recommend anybody to give the tour a go, whether you’re just learning to hit obstacles or mastering air tricks, there is a category for you. I’ve found it’s really improved my riding because I’m seeing what other girls at my level are doing and it inspires me to try the tricks they are doing. Posted in Uncategorized and tagged grassroots tour, quays ski & wake, wmski.